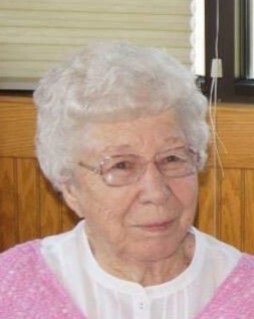 Leona L. Nutter went to be with the Lord and Savior on March 25, 2019. Leona was born in Sultan, Washington on April 2, 1924 to Henry and Anna Senner. She was the youngest of 5 siblings. Leona had lived in Washington and Flathead Valley until she married her loving husband Carmen D. Nutter on February 15, 1946, after he returned from WWII as a pilot. From that time on they resided in the Flathead Valley. Leona is survived by her only daughter Janie Wagner, husband Beryl (Sonny) Wagner, two grandsons Jim Wagner and David Wagner. Three great granddaughters and multiple nieces and nephews. She had been a member of the First Baptist Church in Columbia Falls for many years and attended until her health declined. She will be lovingly remembered by her family and friends. A visitation will be held 3 pm – 5 pm, Thursday, March 28 at Columbia Mortuary. Leona’s funeral service will be held at 10:30 am, Friday, March 29, 2019 at Columbia Mortuary with burial to follow at Fairview Cemetery. Columbia Mortuary, 1010 4th Ave West in Columbia Falls is caring for Leona’s family.